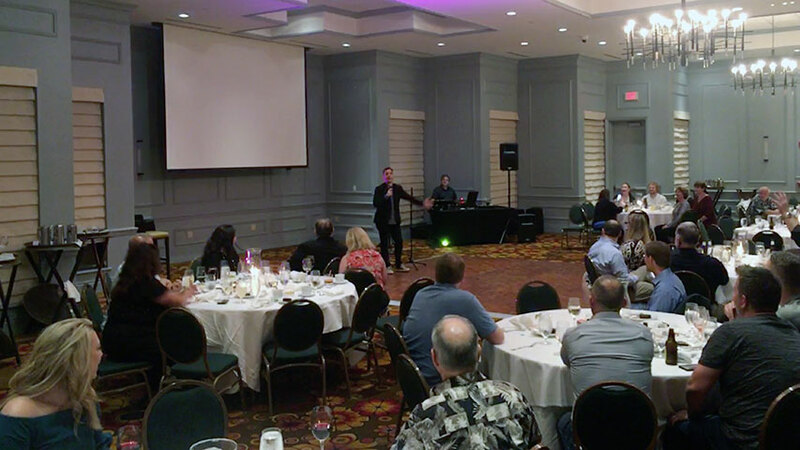 Find motivational speakers, comedians and clean entertainers in Maine for your next meeting or event. Each of the keynote speakers listed below have recently performed their highly-engaging presentations in Maine. Performing his clean, clever "every-man" style of material, Andy explores the joys of parenting, raising pets, and struggling to survive in his hilarious, relatable routines. His ability to find humor in subjects like growing up the middle child, his short lived career as a middle school teacher, and our society's obsession with technology has made him a crowd favorite nationwide. "John Felts' show was amazing!! I received awesome feedback from the users at our conference. People couldn't stop talking about it the next day!" "Andy was a classic pro! Engaged with the audience and used the geographical area to create humor!" "Tony was very prompt in getting to our event and was extremely professional in all interactions. His humor was very appropriate for a company gathering and he made a good connection with the audience. Feedback from attendees has been very positive." "We couldn't have picked a better comedian! Karen had the whole group laughing from the moment she started to the very end. No wonder she is called Maine's funniest mom! After the event, we received numerous comments from the audience how much they enjoyed the show and thanking the organizers for finding such a great entertainer. Hilarious, clean comedy, perfect for a professional group, highly recommend it!" "Our Church loved David's energetic and personalized performance. His ability to relate to our crowd made the night fun, funny, and unique. He performed twice on the same night, but each show had different parts and bits to it. The staff and those who stayed for both shows thoroughly enjoyed it." "Joshua Lozoff was fantastic. The show was a perfect way to wrap up our end of the year and send our students off with smiles. He has an ability to make his audience laugh and wonder at the same time. As soon as the show was over students started begging me to bring Joshua back to our center." "David Ferrell is excellent to work with. A delight! We were very pleased with him. He is very spiritually mature and understands the context of working with a Christian audience. It is our second time having him and we plan on having him back!!" "David Ferrell was excellent! He held the attention of everyone and was very interactive. He was appropriate with context and humor. We loved having him and everyone has had nothing but good things to say!" A few of the towns our nationally-touring keynote speakers have performed in include: Augusta, Bangor, Portland, Scarborough, ME and others.